All prices include: accommodation, meals and car hire; all as listed. This trip provided some amazing views of the contrasting mountains and fjords. We set our own pace and thoroughly enjoyed making our way along the well-planned and beautiful routes. Taking the cable car in Tromsø was an enjoyable experience and the views once at the top of the mountain were amazing. Northern Norway offers it all; dramatic mountain views, scenic forest trails, fjords, ocean activities and even a visit to a husky farm. All of this can be experienced on this four-night self-drive adventure. 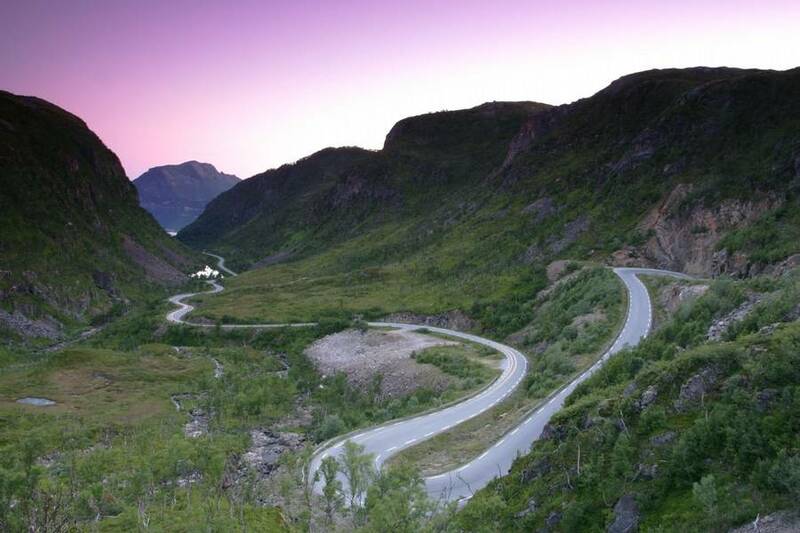 Your accommodation along the way also offers views of some of Norway’s best scenery. *The Clarion Aurora hotel's restaurant closes at 9pm. On your arrival night, if you arrive before 9pm, a light evening meal will be included at the hotel. Alternatively, and for those arriving after 9pm, you can explore the delights of this city's culinary scene. The hotel staff will be happy to recommend some local restaurants. 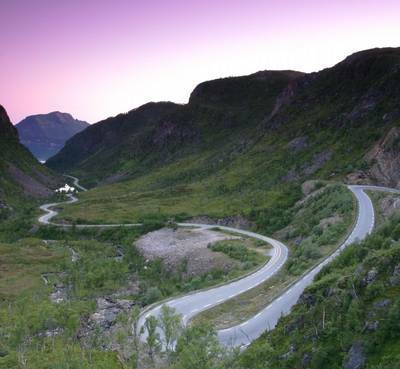 The areas of Northern Norway covered in this wonderful four-night, self-drive holiday, are far above the Arctic Circle. This means that from the end of May until the end of July, they are bathed in 24-hour light under the Midnight Sun. So, if you really want to make the most of your days here – this is the ideal time to come! 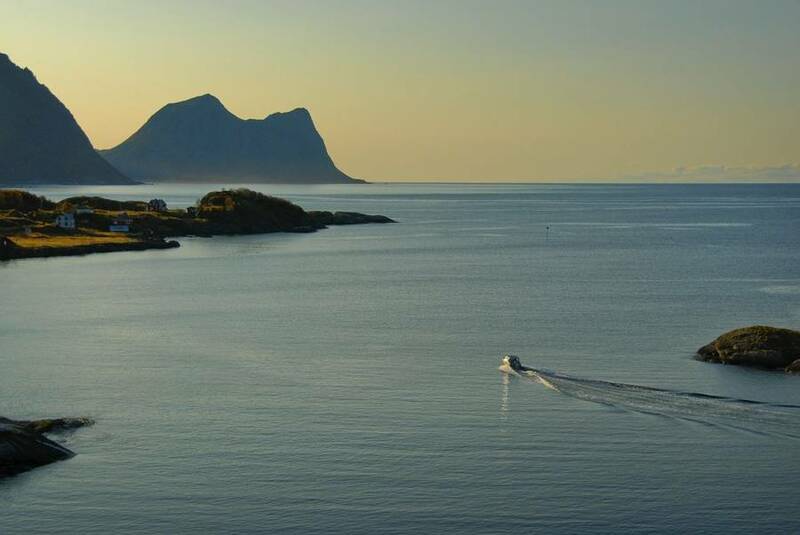 The summer months really showcase some of Norway’s finest scenery, and during this holiday you will discover the beauty of some of the white sandy beaches, crystal clear fjords, remote islands, and mountain peaks on offer. You will also see some of the quaint fishing villages which sit perfectly in their waterside settings. Drives in the area can take longer than expected as you always want to pull over to take a photo or two. We start things off in Tromsø, often referred to as ‘The capital of the Arctic’. It is an ideal gateway to the Arctic and offers a great mix of modern comforts and Nordic culture. There is a fantastic range of restaurants and although a light evening buffet is included during your stay, we would highly recommend arriving early and sampling some local cuisine. If you wish, you can also visit the world’s most northerly aquarium, Polaria, which has some fantastic exhibitions and wildlife to enjoy. See our ‘Personalise’ section for more details. 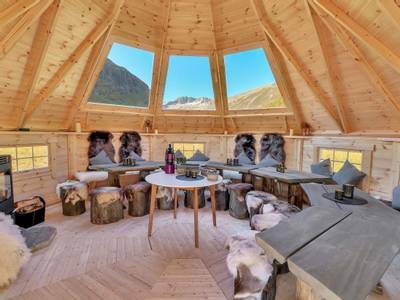 From Tromsø, you then visit a wilderness camp on the island of Kvaløya for a night of glamping. This remote site offers an incredible experience amidst some truly breath-taking scenery. The heated tents are charming and offer rustic luxury, with comfortable double beds and windows overhead so you can enjoy the views. It is a fantastic location for enjoying the light of the Midnight Sun. Your next stop will be on the Island of Senja, a hidden gem in Northern Norway which is known locally as the ‘fairy-tale’ island. It is difficult to find the words to describe the scenery, but you will certainly understand why it has been given this nickname. 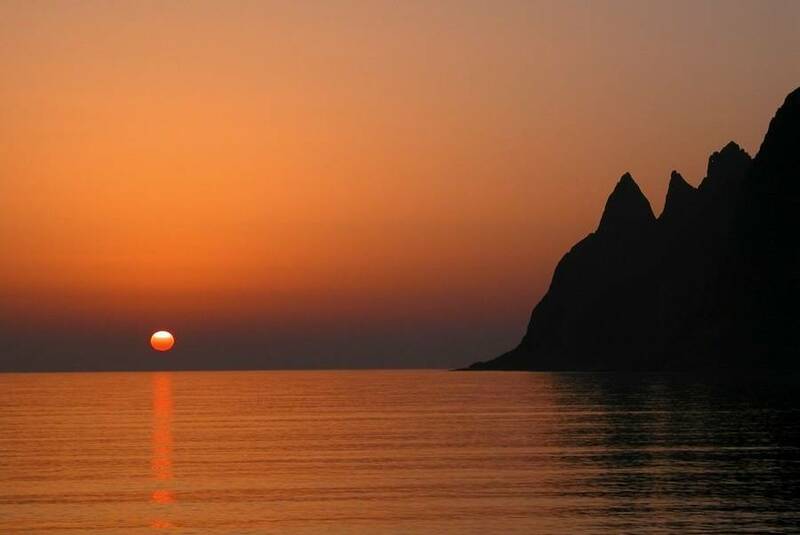 Senja is a particularly good spot for enjoying the Midnight Sun and if you wish, a guided kayaking tour can be added to your holiday and you can take to the water and enjoy this incredible light. See our ‘Personalise’ section for further details. 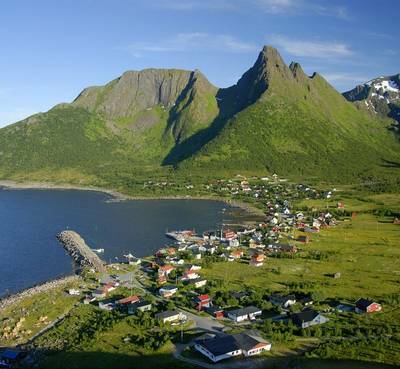 Sommarøy, which is known locally as 'Summer Island' will be your final stop. The white sandy beaches and crystal-clear waters are stunning, and the small fishing community still adheres to age-old traditions. It is a fascinating place in which to simply enjoy wandering around, but there are a range of activities which you can add to your holiday to aide your exploration. 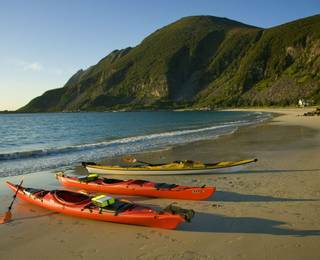 Options include an introduction to stand up paddle boarding or a kayaking adventure on the fjords. See the ‘Personalise ‘section of the holiday page for details. In short, this self-drive holiday is a fantastic introduction to Northern Norway and you will experience some of the world’s most jaw-dropping scenery. The long daylight hours and range of additional activities allow you to tailor your holiday and get the most out of each day. You can also extend your stay should you wish to explore further. Either way, the dramatic scenery alone, is enough to ensure an unforgettable summer holiday. Tromsø, which is often referred to as the 'capital of the Arctic', is your first destination on your five-day self-drive holiday. This lively city which is located on the island of Tromsøya offers a beautiful natural setting, modern architecture and a range of museums. On arrival, you will collect your car from the airport and make your way to the Clarion Collection Aurora which is your accommodation for your first night. Here in Tromsø you can view the 19th Century colourful wooden houses and learn about the city’s heritage in one of its many museums. 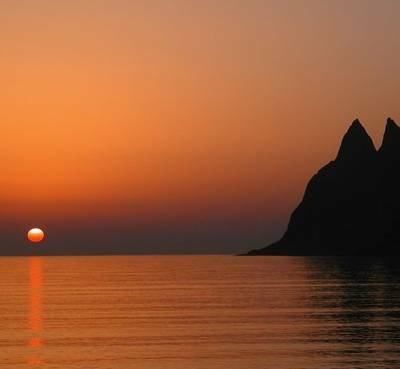 As your hotel is only 10 minutes away from the Arctic Cathedral you could venture to one of the famous Midnight Sun concerts (tickets available at the venue). Or, you could experience a cable car ride which takes you up to Mount Storsteinen. The hotel's restaurant closes at 9pm. If you arrive before 9pm you can either enjoy a light evening buffet at the hotel or alternatively, and for those arriving after 9pm, you may choose to explore the delights of this city's culinary scene. 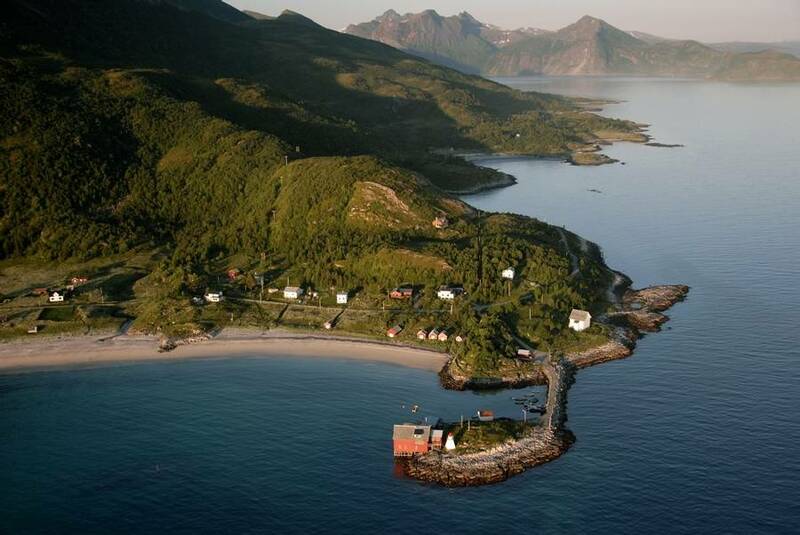 Following breakfast, you will make your way to Kvaløya, which is a picturesque island on the outskirts of Tromsø. 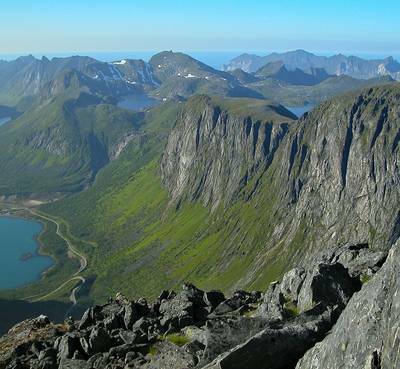 It’s only a short drive and so you may want to further explore Tromsø before setting off. Alternatively, we can arrange for you to enjoy one of two husky encounters at a sled dog centre en-route. There is a choice of either a guided tour of the farm, or the opportunity to spend time training some of the puppies. Details of both options can be found on the ‘Personalise’ section of the holiday page. 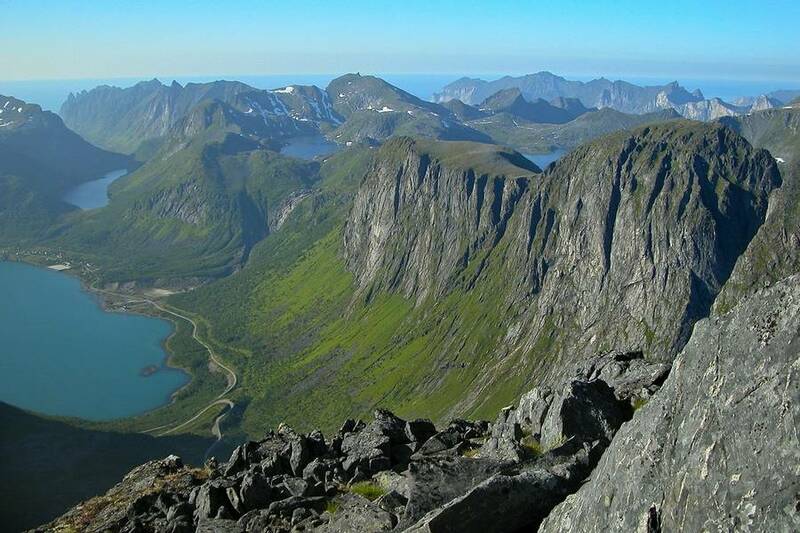 Your journey to Kvaløya will end at a wilderness camp surrounded by jaw-dropping mountain scenery. 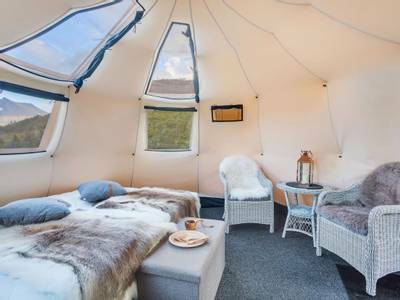 You will spend the evening in a luxury tent with comfortable beds and windows over-head which provide fabulous views of the wilderness outside. You can really embrace the silence of the surrounding nature and will hopefully enjoy good weather so you can make the most of the Midnight Sun. 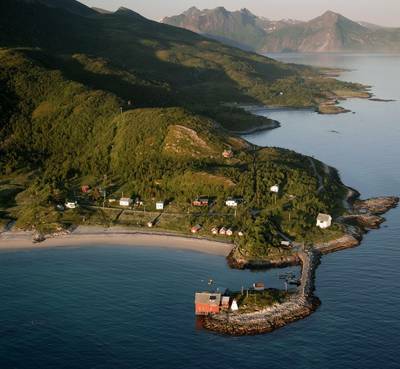 Following breakfast, you will head towards the ferry terminal in Brensholmen before crossing to Botnhamn ferry stop and making for the Island of Senja, undoubtedly one of Northern Norway's hidden gems. 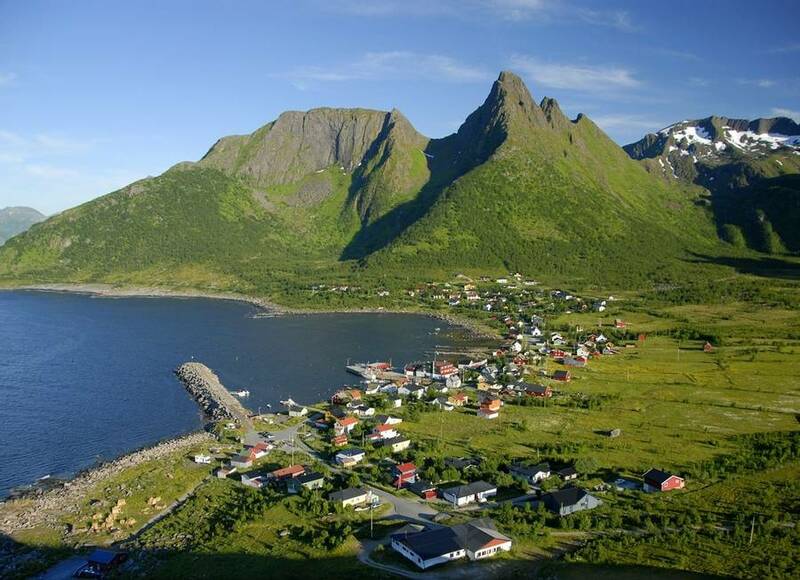 Known as the ‘fairy-tale island’ Senja is wild and beautiful and offers an array of stunning hiking trails with extraordinary vistas over mountainous peaks and pristine bays. An optional kayaking tour is a fantastic way in which to explore the crystal-clear waters and admire the dramatic landscape. 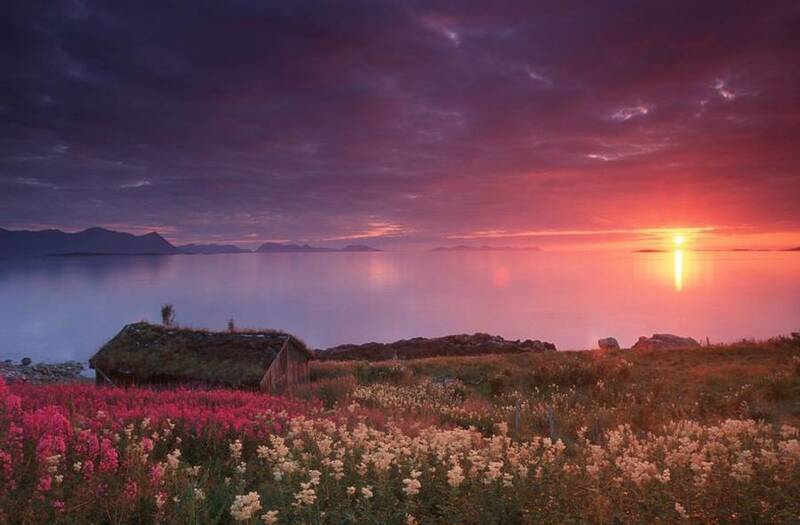 This is all the more amazing if you are travelling during the time of the Midnight Sun. Please see the ‘Personalise’ section of the holiday page for details. During your hour-long drive from the Island ferry terminal, you will be guided along some spectacular coastal roads and enjoy some of the best panorama views the island has to offer. 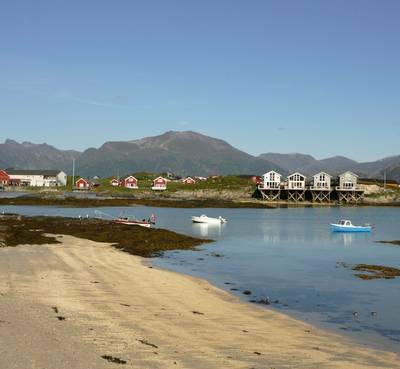 Your accommodation at Hamn I Senja which is located in a former fishing hamlet. Breakfast is included and if you wish, you can upgrade to half board and enjoy dinner in the hotel restaurant. 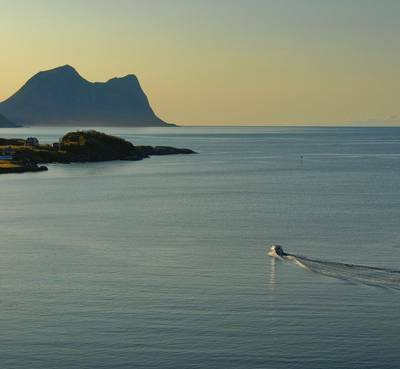 Sommarøy which is also known as 'Summer Island' will be your next destination and as the name suggests it is something of a Norwegian paradise. White sandy coral beaches are surrounded by emerald green, clear water and bordered by a striking landscape. There are several optional activities, such as stand up paddle boarding and a kayaking tour available here and details can be found in the ‘Personalise’ section of the holiday page. Alternatively, you may wish to simply enjoy your surroundings and relax. Your accommodation for your stay will be at Sommarøy Arctic Hotel which includes breakfast. Your final day will see you depart from Sommarøy and drive back to Tromsø in time for your flights back home. For those who have a late flight, you may wish to visit the Villmarksentret Husky Centre on your way to the airport, where the same husky activities as noted on Day two, are once more an option. If you simply don’t feel like you want to leave today then we can of course arrange for you to extend your stay at the time of booking. Tromsø has so much to offer and we can also provide activities such as glacier hiking and guided mountain walks for those who wish to explore at greater lengths. As ever, details can be found in the ‘Personalise’ section and our travel experts will happily provide you with a quote. If you are heading home today, then you will drop your car at the airport and catch your return flight home. The Clarion Collection Hotel Aurora enjoys an enviable position on the harbour front in the centre of lively Tromsø with beautiful views of the sea and towards Tromsø bridge. Its position also puts it within easy walking distance of the city's facilities such as the theatres, shops and famous city landmarks such as the Polar Museum (Polarmuseet) and Arctic Cathedral (Ishavskatedralen). The hotel offers a range of well thought out facilities that have been designed with comfort in mind as well as showcasing modern Norwegian trends. A wonderful afternoon tea for guests which includes coffee and fresh waffles - delicious! NB: The hotel is cash-free, they take payment by credit or debit card and accept all major international cards including American Express and Diners. They can accept cash payment if needed but offer no change if you do not have the correct money. The hotel has 121 rooms over five floors. Your stay will be in a standard double/twin en-suite bedroom. All rooms are fully equipped with TV, refrigerator, hairdryer, minibar, complimentary Wi-Fi and en-suite shower room. Upgrades to rooms with whirlpool baths are available on request. North Tour is a Norwegian wilderness tented camping experience with a comfortable twist. 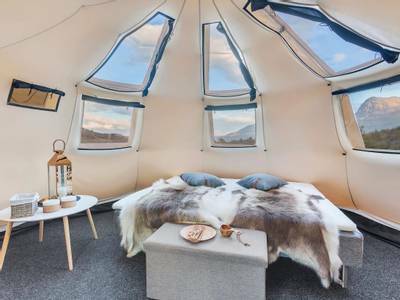 Located on the island of Kvaløya, which is forty minutes from Tromsø, the tents themselves are luxurious with large, cosy double beds. They have panoramic windows in their roofs so you can admire the breathtaking scenery surrounding the camp. The tents are spacious and there is a seating area from which to enjoy the view whilst enjoying a hot drink or some fresh fruit from the minibar. The camp is set in a genuinely wild location, with dramatic mountain peaks surrounding a pristine valley. The only sounds are that of the running river and the local birdlife. A wooden cabin is located in the centre of the camp and here you will enjoy your meals which are home-cooked using fresh ingredients. There are no showers at the camp, but there is a water pump which provides fresh water whenever you need it. 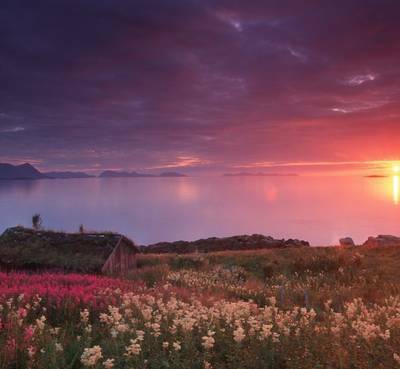 If you are travelling during the time of the Midnight Sun (end of May to late July) they offer wonderful views of the scenery at all hours (blinds are provided to block the light when you do choose to sleep). The central cabin is an ideal location to relax with a hot drink whilst enjoying the silence of the wilderness. It is equipped with a fireplace to ensure a cosy atmosphere. Exclusive Tent: The luxurious tents are equipped with large, cosy double or twin beds and are both bright and spacious. There are windows overhead which provide fantastic views of the surrounding landscape but they are also equipped with blinds, so you can block out the light. Each tent has a seating area, coffee and tea making facilities and a minibar with fresh fruit provided. There are toilets in a separate building and a water pump which gives access to fresh water whenever you need it. 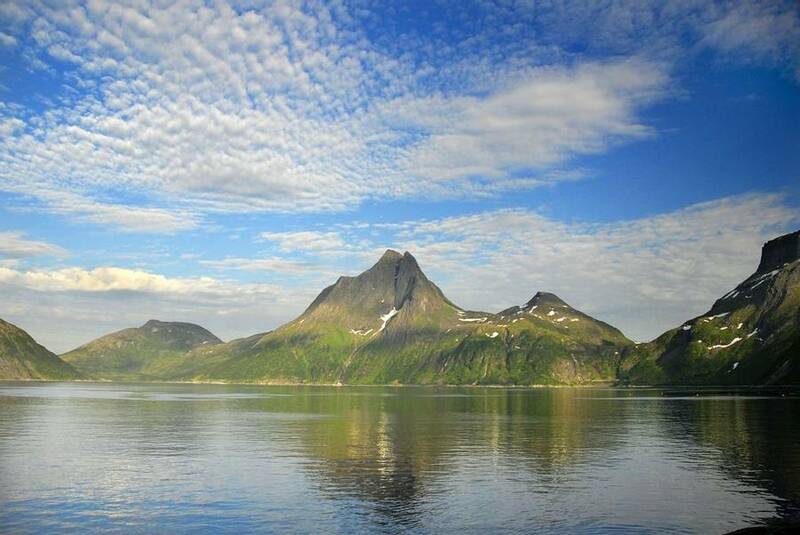 Hamn i Senja can be found on the island of Senja - an idyllic Norwegian fishing village, surrounded by dramatic mountainous scenery. This perfect, peaceful location is an absolute must for those with a genuine appreciation of natural beauty. 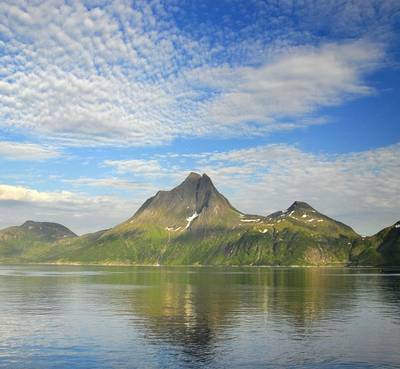 As Norway’s second largest island after Svalbard, Senja can be found midway between Tromsø and Harstad and offers its guests a beautiful array of diverse island scenery with spectacular views of the surrounding fjords, islets and mountains. The name of ‘Hamn’ means harbour and the location that Hamn i Senja resides within has roots dating back to the 1880s as a traditional fishing village. There is a wonderful historical feel as well as a perfect peaceful location directly on the harbour front. The large suites are located in three buildings. Each suite has two bedrooms with two beds (which can be made up as either twins or doubles). Facilities in the suites include a fully equipped kitchen area, a lounge area with TV and view of the harbour, dining area, a shower room and a hairdryer. The hotel offers complimentary Wi-Fi and towels. Overlooking the Atlantic Ocean and located within the picturesque Sommarøy coastal town your stay here will guarantee sea views. Located in a traditional fishing community you will be provided with fresh local dishes and an insight into how they hunt and fish. Breakfast which is included in your stay is served within the on-site lobby restaurant which uses fresh local ingredients where possible. Your stay will be in a standard double/twin shower en-suite bedroom. They all come equipped with Internet, TV, desk, hairdryer and seating area. Please note that the hotel is currently undergoing some expansion and improvement work, due for completion in Spring 2017. The majority of the external work has been completed and a few internal projects remain. Working hours will be limited to the daytime only and the hotel will aim to locate guests as far away from the work as possible. If there are any issues during your stay, the hotel staff will be more than happy to help. Visit a local husky farm where you will learn how these wonderful dogs have been trained and brought up to work as sled dogs. Your musher guide will show you around the farm so you learn a great deal about their lives with their dogs and the special bond they share. Please note: this activity can be booked on either day 2, after leaving Tromsø, or day 5, before returning the car to the airport when leaving Sommarøy. Alternatively, you can extend your stay in Tromsø. Visit a local husky farm and learn how to train a puppy for its future role as a sled dog. This is a hands-on experience and you’ll leave knowing you have helped train a future sled dog. Your experienced handler will guide you throughout your visit on how and why they train their dogs as they do. Feel a sense of personal achievement on completion of hiking your first glacier. Take the opportunity to learn about the nature of glaciers whilst enjoying a hike and getting to know the natural environment. Please Note: to book this activity you would need to extend your stay in Tromsø. With a range of mountains offering picture-perfect views of the town and lower surrounding fjords, you won't be stuck for mountain hiking routes. We can organise a mountaineering guide to assist you in your hiking adventure. 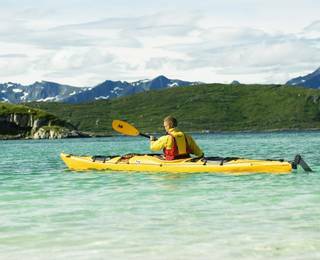 Kayaking on the magical waters of Bergsfjorden offers a truly enchanting experience, particularly during the Midnight Sun. North of the Arctic Circle, the sun doesn’t set below the horizon from the end of May until the end of July creating 24 hours of daylight. Experience kayaking late into the evening amidst the crystal-clear waters, idyllic white sandy beaches and the stunning orange glow of the Midnight Sun. The clear waters are perfect for kayaking and you may be sharing the water with some native seals and a variety of seabirds. Kayaking is the perfect opportunity to get up close and personal with nature and explore the myriad of islands along Northern Norway’s coast. You will also need to keep your eyes open for any whales, seals and sea eagles that you may encounter during your activity as they all inhabit the region. Stand up paddling is one of the world’s fastest growing sports with an increasing popularity in Norway. This unique activity allows you to glide over the pristine waters of this coastal region in what makes for a magical experience amongst a beautiful landscape. 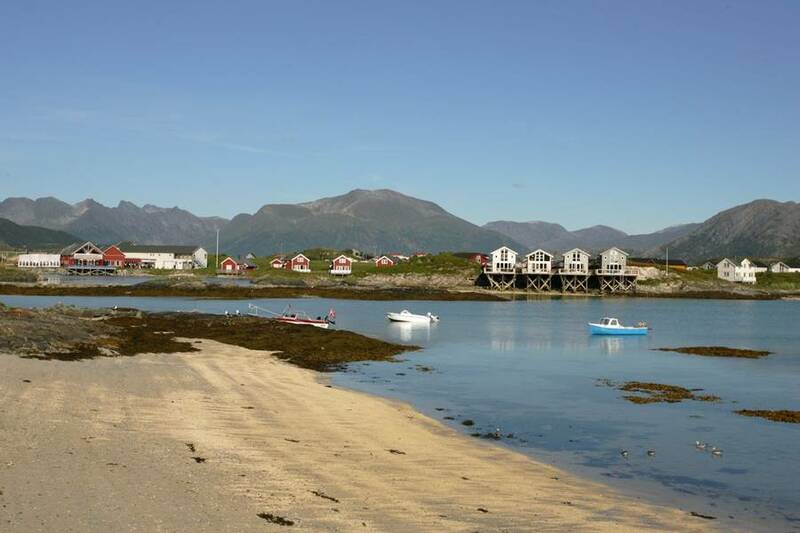 Sommarøy is the ideal location, with white sandy beaches and sheltered bays, it is an ideal spot for beginners. Knowledgeable guides will provide hands-on instruction for the duration of the tour.